You completed PCI Rapid Comply, what’s next? 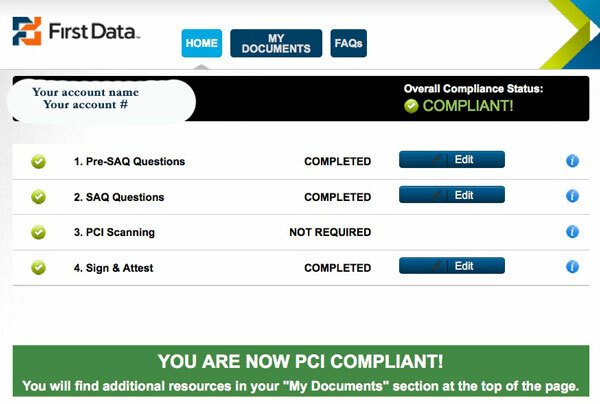 You’ve completed the online forms at PCI Rapid comply, what’s next? By now you already know that PCI is not a quarterly or annual event. First, If you received notice of noncompliance, print the web page shown above and send to your merchant processor relationship manager to stop recurring non-compliance fees, if applicable. Next, go to MY DOCUMENTS and download everything. These are starter documents to help you with compliance, but you’ll need to modify and add some information. For example, on the incident response form, you’ll need to add the responsible names and contact information. The security policy should be reviewed and disseminated to all employees that touch payments, and are involved in network security. I recommend HR manage the confirmed receipt as part of employee performance reviews. You may want to create a test to validate employee understanding, and record the date and time of completion to prove compliance. The Risk Management Guide has a number of blanks to fill in. If you have retail transactions, you’ll need to create a monitoring and inspection program, which includes serial numbers and locations of all equipment. Enter network administrator and payment administration on the access control guide. If you’re a CenPOS user, most of this requirement is managed with CenPOS Roles & user management. 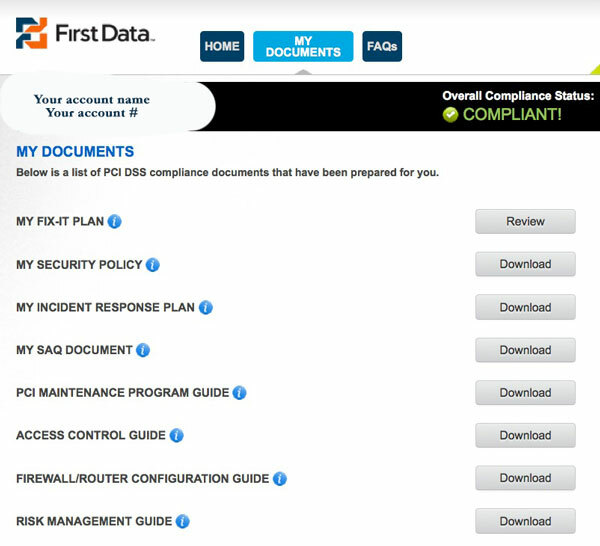 Maintaining and monitoring your program is a critical component of PCI 3.0. If you don’t currently have a compliance officer, create accountability by assigning someone to ensure monitoring is completed on schedule. About PCI Rapid Comply: PCI Rapid Comply is a First Data service available to all their merchants. First Data merchants can use this or a third party service of their choice. About 3D Merchant Services author Christine Speedy: Offers payment gateway and cloud solutions to reduce scope and PCI Compliance burden. No new merchant account is required, however merchant services are available upon request. PCI Rapid Comply is available to merchant clients on select processor platforms, at no additional fee. This entry was posted in PCI Compliance, security and tagged CenPOS, First Data Merchant Services, PCI compliance, PCI DSS 3.0, PCI Rapid Comply by Christine Speedy. Bookmark the permalink.